Dr Robert Goodwin lives between London and Seville. He was educated at Westminster School and King's College, and also studied at the universities of Granada and Seville and the School of Oriental and African Studies. He has a PhD in Spanish Art, Literature, and Society, is a respected historian of Spanish colonial history and is currently a Research Fellow at University College London. 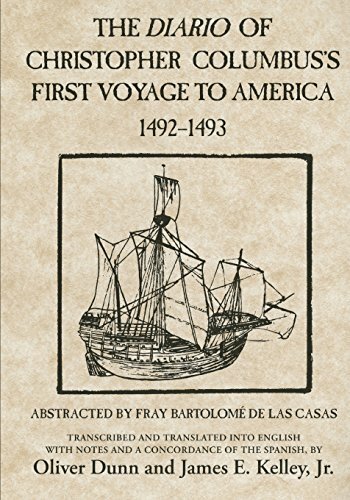 Your first book is the journal of Columbus’s First Voyage, which you say is known from Bartolomé de las Casas’s transcription and paraphrase made from the original in around 1550. The original journal was lost but las Casas, who went down in history as the defender of the Indians against the barbarous Spanish conquistadors, was very interested in the history of the New World and he was given access to Columbus’s original diary, his on-board journal of that first journey. For his own purposes he made a partial transcription, partial paraphrase and that is now all we have left. The diary is a day-by-day account of the journey, written twice a day, from the moment Columbus left Spain in 1492 to the moment he got back. It’s amazing not only because it is an account of that discovery of America but it’s amazing just how tiny a bit of America he actually discovered. He saw a few of the Bahamas, a bit of Cuba and a bit of Haiti and then went home. Obviously, there is a sort of interest in what he discovers from a geographical and ethnological point of view … the journal contains the first ever description of someone smoking tobacco! He constantly discusses the colour of the Indians’ skin as he tries to decide whether to sophisticate them, in which case he lightens the colour of their skin in his writing, or whether to see them as merchandise in which case he darkens it. He knew the Indians would need to be black to be seen as merchandise – he was plugging into the established racial iconography of the day. But more amazing is the personal side of the diaries. His men were threatening to mutiny at one point. In fact, one ship did mutiny and went back to Spain but the captain died on the way. He was possibly the first European ever to die of syphilis. Did syphilis come from America? Well, it’s probably a myth but syphilis blew up in Europe in the wake of the discovery of America. Anyway, you get this window on to a very anguished man. He talks a lot about the lizards, which were probably crocodiles. It’s an emotionally vivid picture, apart from the sailing direction, of how he’s been deserted by one of his ships. He’s in a big bay on the northern shore of Cuba where he’s taken refuge and he’s trying to make sense of where he is. He thought Cuba must be China and he actually sent an embassy of men inland to find the Great Khan. They found some primitive people smoking leaves. I mean, the atlases he was using were Marco Polo and Pliny. He had read about Marco Polo’s great sea of 7,000 islands and he’s sitting in what was basically a swimming pool in Cuba and he writes that he thinks he must be in the South China Sea. It’s science fiction – he really was on the edge of space, completely lost. He describes the utter stress he is under on the edge of the world, isolated from his crews, his desperation building up. 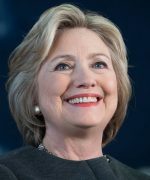 It is a picture of an utterly lost human being. 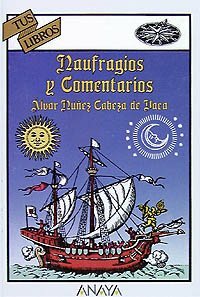 Your next book is Alvar Núñez Cabeza de Vaca, Shipwrecks and Commentaries, written in 1542. Yes. This is an account of the first ever European, or I should say European and African, expedition to North America. Picking up on our ‘lost’ theme, an expedition of about 300 Spaniards and their African slaves landed at Tampa Bay in 1528. There were only a handful of Africans. I have found evidence for four, but there were almost certainly more. They knew so little about where they were that they assumed they were at Matagorda Bay in Texas. Everything went wrong and shipwreck, disease and Indian attacks left only four of them still alive – three noblemen and an African slave. At that time America was populated by between one million and 18 million Indians – the estimates vary that much. Anyway, these four went native and became Indian shamans. As a result of their status they were able to travel up the Rio Grande to North Mexico and then west to Arizona, south to the Gulf of California and to New Mexico where they ran into some conquistadors going in the opposite direction. This must have been one of the most incredible meetings in history. Fifty lost Spanish conquistadors on horses in the bush in New Mexico and out of the bush come 600 Indians led by three blonde men and a black man. Had the slave become their equal? He was temporarily equal. When they got back to Mexico City where the Spanish were based nobody remembered to free him. His name was Esteban Dorantes, originally from West Africa, enslaved in North Africa where he’d learned Arabic, brought to Spain and then to America where he learnt a number of Indian languages. He was clearly, reading between the lines of the Cabeza de Vaca account, the one who negotiated the men’s relationship with the Indians and who was relied on to sort things out. De Vaca has no motive for aggrandising Dorantes and yet he is present when anything important is happening and was obviously highly able. That the first ever crossing of North America was led by a black man, and that he led the expedition through Louisiana, Alabama and Texas, is the political irony of the century. Once they were back in Mexico City the viceroy put him in charge of an army of Mexicans and he led them back up into Arizona. Then he disappears. There is some suggestion that he was so taken with the Mayo (Indians of the Mayo River) women that he hid away from the other Spaniards and took a few Mayo wives. In 1622 a mixed-race man called Aboray was lord of a lot of Mayo lands and was rumoured to be Esteban’s son, but … well, who knows? Your third book is by Bartolomé de las Casas, A Brief Account of the Destruction of the Indies. This is the same man who transcribed Columbus’s journal? Yes. He arrived in the New World as a young man and was so horrified by the Spanish campaign to conquer Cuba in the early 16th century that he became a Dominican friar. He preached a lot in the New World but he also presented his case to the Spanish crown and became a champion for the Indians. He tried to set up utopian communities of Indians he’d converted to Christianity and he was famous for engaging in a public political debate in Spain on the side of the Indians. He argued that they were human beings with souls who should be treated as citizens of the crown. Sepulveda, his adversary, argued the opposite and that both moral and theological law allowed the enslavement of the Indians. So this is his polemic against the Spanish brutality. He sent it to the Spanish crown saying how barbarous the Spanish conquistadors were. Very barbarous indeed, according to las Casas anyway. They were eviscerating random villagers and massacring whole villages. This was grist to the mill of Protestant anti-Catholics right up to the 19th century. He helped create the image of barbarous Spanish Catholics that persists even now. He was only right up to a point, really, but what I find interesting is that in the history of European America it is easy to forget the Indians, but until the West was won in the 19th century, the Indians were the single most important factor in America, most of the country was populated by them and yet they fade into the background of history like the landscape, as though they were bison or something. In fact, they were a variety of differently sophisticated and unsophisticated political units. They were the people in North and South America who the Spaniards met. The Protestants tended to move them along, but the Spanish took thousands of concubines and inter-married like mad. 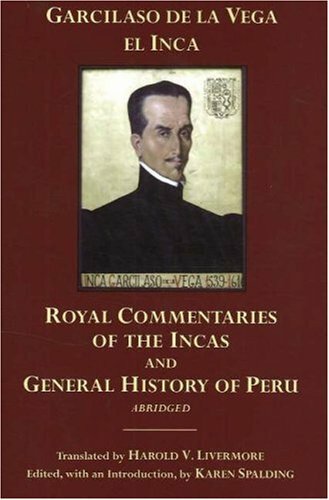 Now you’ve got Garcilaso de la Vega, El Inca, Royal Commentaries of the Incas, written in 1609. He is exemplary of the sort of hybrid who came to exist in the Spanish Empire. His father was a Spanish conquistador in Peru and his mother was an Inca princess. So he lived in an Inca principal household, though he also learnt aristocratic Spanish things like horse-riding, hunting and sword-fighting. But he followed Inca traditions too. Like reading those knotted ropes that were basically books. He had an uncle who was important Inca royalty. He came to Spain as a young man to get a good renaissance education. 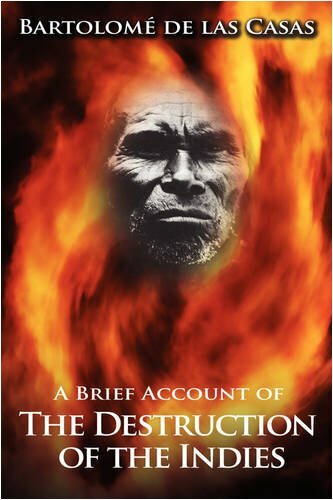 In this book he wanted to present his mixed-race hybrid and he rewrote Peruvian history in his own image. He sees the Incas as being like the Romans and that their civilisation was necessary so that the Spanish Catholic seed could be sown there. He gives a history of the Spanish conquest from the maternal and paternal points of view. It’s all very Freudian with the father thrusting into the mother’s territory. So, it’s about the hybridisation of America but it also shows the Indians in a good light from a European point of view. If Columbus and de Vaca showed the Indians as they saw them then las Casas and de la Vega try to show them as potential Europeans. This was partly because of their own cultural prejudices but also because they wanted to get the best for their Indians – not that those Indians got to voice an opinion on what was best for them. In Europe, of course, de la Vega traded on being South American royalty. 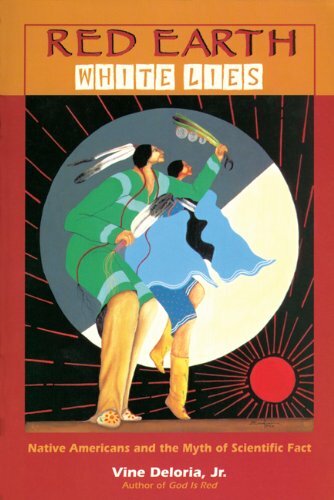 Your next book is a modern one, published in 1995, by Vine Deloria Jr, Red Earth, White Lies. This is completely different. Vine Deloria was a very polemical, anti-Anglo-American Native American historian, who sadly died in 2005. I would love to have met him. He wrote a book called Custer Died For Your Sins. My other choices are all contemporary sources from which the history of America has always been written. It is basically European history. What Deloria asks is: why hasn’t anyone used Native American material and myths to write the histories? All the original sources have political and cultural perspectives and agendas, but it is the Indian sources that are dismissed as untrustworthy oral history.